In 2014, a Virginia District Court ruled that phone passcodes were protected by the Fifth Amendment, while fingerprint IDs were not. The court’s reasoning was that those accused of crimes could not be compelled to incriminate themselves. In 2015, the federal district court in Eastern Pennsylvania upheld that ruling. Recently, however, a Florida state appeals court ruled that the police may compel a suspect to hand over his or her passcode, concluding that “the passcode itself was not related to the potentially incriminating evidence that may or may not be on the device.” This ruling has once again changed the way that digital evidence is handled during criminal proceedings. The U.S. Constitution protects citizens against self-incrimination, but in today’s digital age, U.S. courts have been bending Fifth Amendment interpretations more and more. This most recent ruling is just one prime example of how citizens’ rights are being infringed upon. 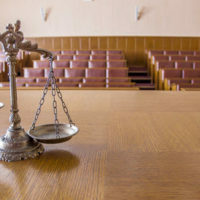 Though the Florida case is a state-level decision and does not affect national rulings, other states have been pushing the limits in terms of Fifth Amendment interpretations. Because of that, it is only a matter of time that password-protected records, files, and documents and encrypted digital data are free game for the prosecution, FBI, and any other authority who feels that they are entitled to access. Unfortunately, the thought behind allowing authorities to compel passwords from suspects is that digital authentication combines something you know and something you have, two things that are judged separately in a court of law. Prior to Florida’s most recent ruling, other courts have upheld that a password is something you know, and therefore, it would be considered self-incrimination if surrendered to law enforcement. The reason the Florida court ruled differently was because they did not reject the notion of “foregone conclusion.” Foregone conclusion means that the law enforcement agency has already “determined” the contents of the phone before confirming what was there, thereby making the compulsion for the suspect’s password constitutional. Up until Judge Anthony Black’s ruling, each court faced with the dilemma of whether or not to compel a password from a suspect has used Justice Paul Stevens’ argument in Doe v. U.S. 487 U.S. 201 (1988): “an accused person may be forced to surrender a key to a strongbox containing incriminating documents but cannot be compelled to reveal the combination to his wall safe.” Justice Stevens’ argument has been applied to the request for passwords and data in the digital age, thereby continuing to protect the Fifth Amendment rights of Americans long after the case was concluded – until now. There is no telling what information law enforcement will have access to in the coming years, but with the most recent ruling by Florida’s higher court, it appears that searches of digital content may become the norm. If this is the case, it will be more important than ever to work with a criminal defense lawyer who understands your legal rights, and can use their knowledge of the law to aggressively defend them. If you are worried that your cell phone records will reveal incriminating evidence in your case, do not delay, and reach out to the Orlando defense lawyers at The Baez Law Firm. Call 800-588-BAEZ to schedule your free consultation today.